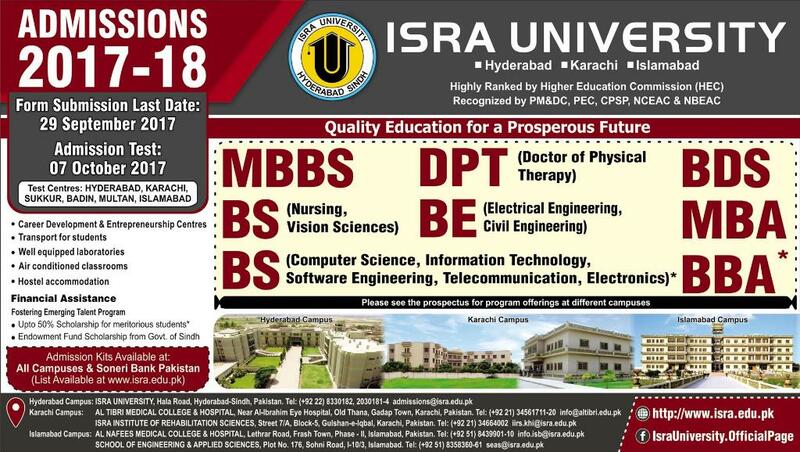 Isra University is one of the best private sector universities in Pakistan and is chartered by the government of Sindh. Isra University is owned by Isra Islamic Foundation, a non-profit organization, certified by Pakistan Centre for Philanthropy (PCP). Highly qualified teaching faculty is provided to the students. The main campus is situated in the historical city of Hyderabad with additional campuses in Karachi and Islamabad. The University offers wide range of academic programs to give academic facilities to the students. Hostel facilities for students are available off campus. Female students are provided accommodation in hostels that are spread over different locations in the city. Shuttle transport is provided to facilitate the pick and drop of hostel students to and from the campus. Isra University provides financial aid to the deserving students in the form of scholarships, tuition fee concessions and cash awards to over 10% the students enrolled in the University. 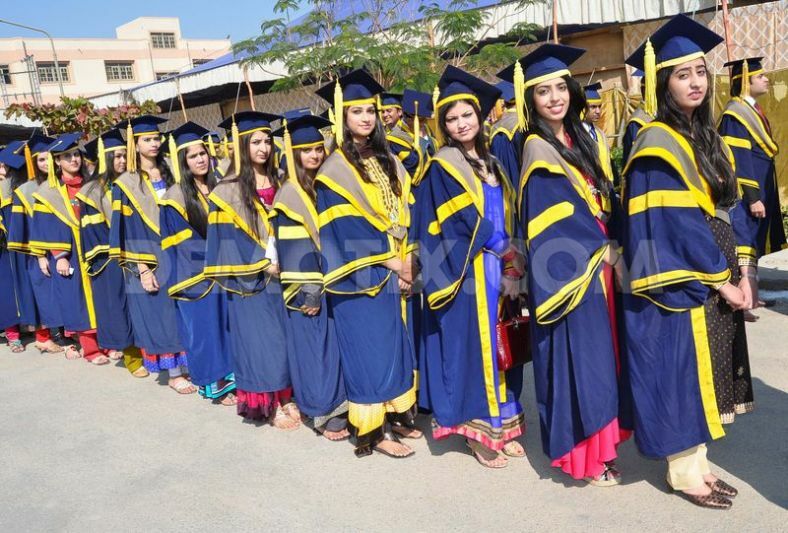 Candidates who want to get admission in ISRA University to all the Bachelor and Master degree programs are required to take the Isra University Admission Test (IUAT). The test consists of two parts with an intermediate phase of short listing for personal interviews. Foreign students are exempted from entry test. It is a written type test for those candidates who complete the prescribed application form and register themselves for taking the admission test. This test is taken at ISRA University. Time and date of the test is announced in the news papers. The short listed candidates will be individually called for interview. This part of the test is a personal interview in order to check their communication skills, aptitude, integrity, motivation, maturity and interest in the selected degree program. The interview will be held at ISRA University. Date and time will be announced later. The result of both IUAT test will be reviewed by the admission committee. English proficiency of the students will also be checked. The admission form along with fees can be paid through a bank draft / pay order in the name of Isra University, drawn on a bank having a branch in Hyderabad and submitted with all the necessary documents. The results of entry test 2019 as announced by ISRA University will be displayed here at Gotest.pk If you want to know the results as soon as possible you have to visit this page on daily basis because merit list of successful candidates will be displayed here.